With up to 1kA test current, the NIM 1000 measures the loop impedance to detect malfunctions in the LV grid at an early stage. 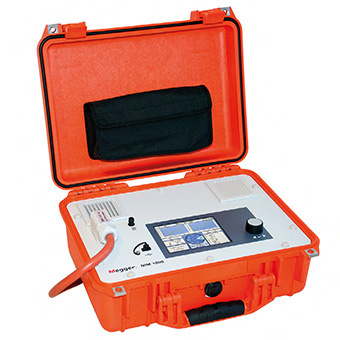 The impedance meter triggers load-sensitive and neutral faults, detects weak contacts, and exposes hidden flaws. Depending on the grounding conditions of the tested grid, a multi-phase measurement calculates the impedance of the neutral conductor to detect defects that can cause severe safety issues.